SID incoming President, Helge Seetzen told me that 2018’s DisplayWeek attendees would exceed the previous largest event by almost 1,000. The interest in displays and display technology seems to grow despite, the reoccurrence of the dreaded crystal cycle. Ross Young, CEO of DSCC (and my son), showed the audience at the Business Conference on Monday, the following chart, which shows operating margins for the display makers from 2000 thru 2017. The margins varied widely from 2000 to 2010, but since 2011 we have experienced relatively stable performance where the margin varied from +10% to -10%. 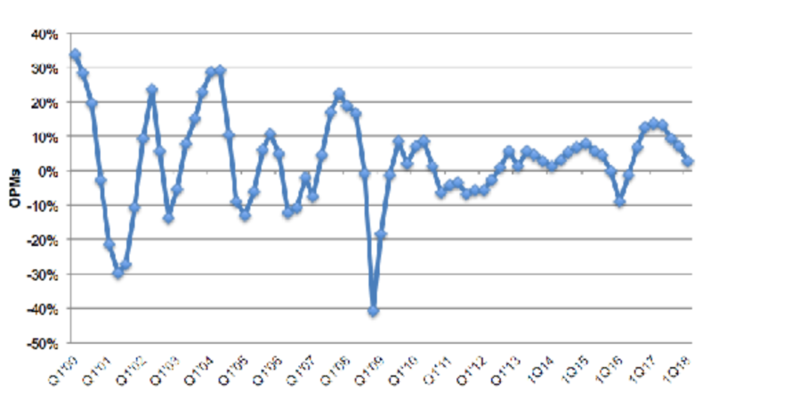 However, revenues dipped Y/Y in Q118 to US$26.1m down 2% and the trends are quite negative. 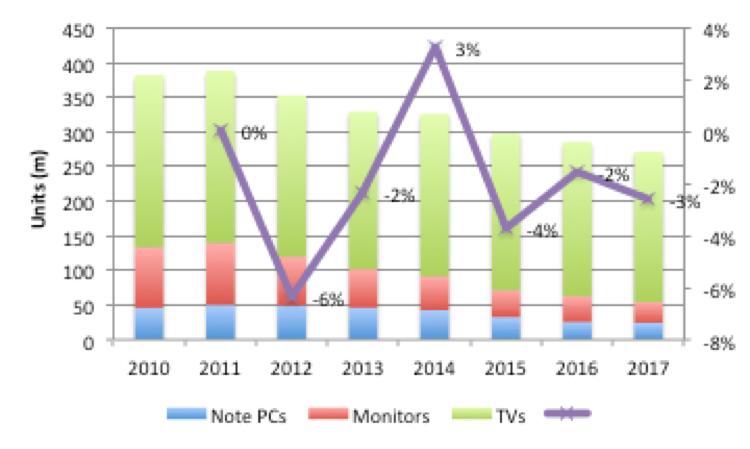 TV, monitor and notebook shipments are all on a downward trend with only 1 year in the last 7 showing any unit growth. The lower shipment volume is partially offset by larger average sizes but the effect is still negative ariel growth. In the smartphone and feature phone markets, the industry overall peaked in 2015 and smartphones seems to have in 2017 as Q118 results are down Y/Y. The two bright spots are Augmented Reality, which is still just a dream and automotive displays, which are expected to grow from 40m now to 100s of millions as the display infiltrates the 100m automotive shipments by the end of the decade. Chinese OEMs convert more of their production to OLEDs as prices drop. Foldable displays are used in new products. In the following figure, we show the drop in all 6” FHD+ panels and the forecast that OLED rigid and LCD rigid will have comparable costs (within US$2) of production by 2019. Folding the display causes strain on the TFT layers. Different types of folds, in or out, create different types of stress on the display. The TFT structure may need to be redesigned with key structures relocated or modified to reduce stress. Fortunately, the stress on each layer can be quantified and designers need to take that into account when designing foldable OLEDs. In-folding or compressive strain causes the lattice constant for the silicon to become shorter, with higher bandgap energy and a lower concentration of free carriers in the channel, increasing channel resistance and reducing mobility. Because larger bandgap energy needs more energy to generate free carriers, the activation energy of the silicon channel increases, which increases the Vth. Outfolding or tensile stress, results in Vth decreases & μFE and ID.MAX increases. The negative shift of Vth is due to the bandgap narrowing. When tensile stress is applied to the silicon, the lattice constant of the silicon atoms becomes longer which causes the energy bandgap to become smaller. The smaller bandgap energy means that there are more free carriers in the silicon and the active energy of the channel is reduced, which lowers the channel resistance, increasing the mobility. The smaller bandgap energy contributes to a decrease in Vth. DSCC provided an extensive list of the major challenges getting to foldable displays. Recent reports indicate that the present structure is sufficient. Perhaps one of the most difficult is creating a cover film that is as hard as glass but can meet the 1mm folding radius. Kolon showed such a film (really two films, one of which was a 99.9% transparent pure white polyimide. They said they were ready to ship, but no panel maker has yet placed an order. DSCC expects OLED revenue to grow from US$22b in 2017 to US$57b in 2022, a CAGR of 21%. 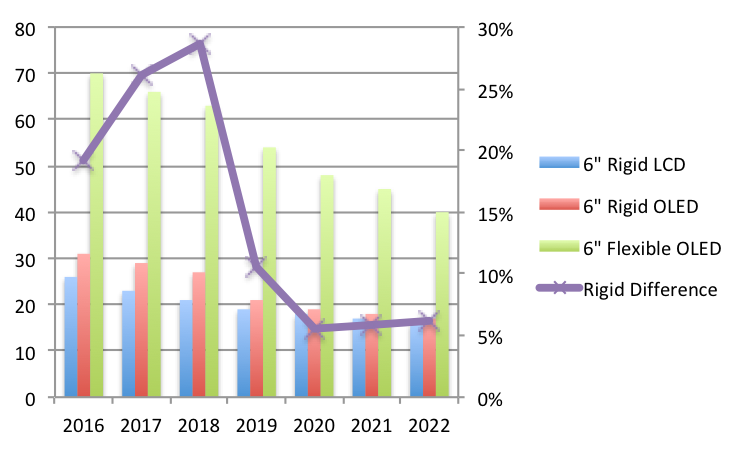 The mix between rigid, flexible and foldable is forecast to be 29%, 53% and 17% respectively. 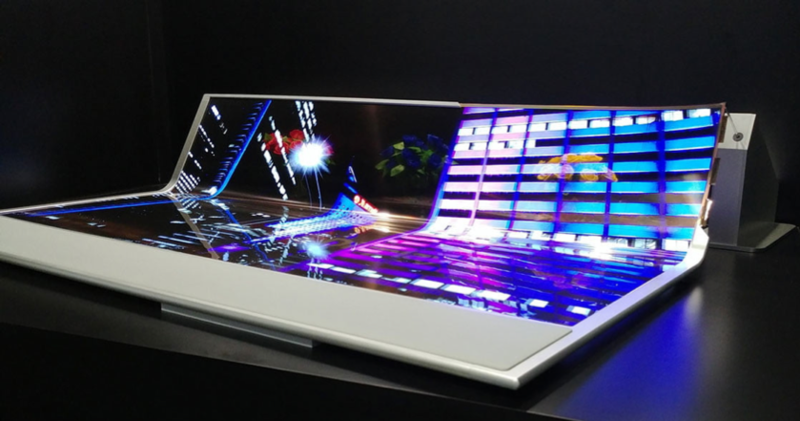 LG wowed the crowd with a transparent 77” flexible OLED that was conformable. It was reported to be rollable but aside from the curved rear portion it did not roll. But LG is rolling, the device it was in looked like the work’s largest notebook although it wasn’t even luggable. The rate of transparency was 40%. The most likely use of transparent flexible OLEDs would be digital signage, similar to the transparent and mirrored displays Samsung introduced a few years ago. LG did not show the rollable TV is demonstrated at CES. LG also demonstrated two flexible OLEDs for mobile devices - a 5.5" QHD (1440,2560, 538 PPI) panel and a 5.7" FHD (388 PPI) panel. LG says the 5.7" FHD is now in mass production, while the 5.5" QHD will be ready in Q2 2017. Luminance was only 350 nits. LG also demonstrated OLED automotive displays, including a 12.3" 1920x720 OLED, 12.3" transparent OLED for automotive applications, with a transparency of 60% and a 12.3" display that consists of both LCD in the background and a transparent OLED on top. LG calls this a Multi-Layer Display (MLD) and it shows an interesting 3D effect. Finally, LG shows a 6.13" mirror OLED. Samsung showed a Light Field display prototype that was 5.09” in diameter with a 1440 x 2560 resolution and showed 26 different views of a single image. They also showed a 9.1-inch OLED display that can roll, bend, and even stretch when pushed on before snapping back to its original position. 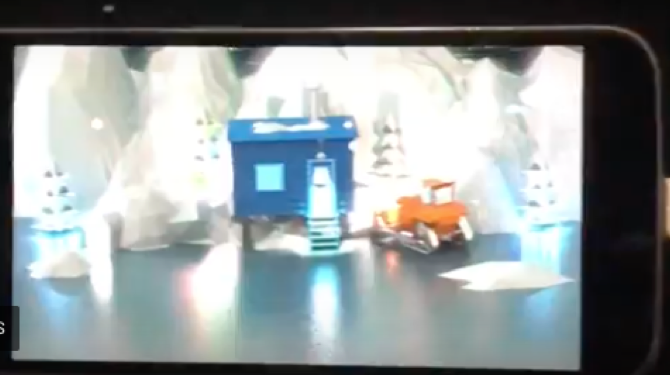 There are no plans on when, or even if, a screen like this could show up on an actual product, but it’s certainly impressive. They also showed a 1.96-inch LCD with a 3840 x 2160 4K resolution, which could be used in a VR or AR headset for even clearer images, without the issue of visible pixels that can occur with today’s headsets. Samsung also showcased a 5.09-inch OLED screen that offers glasses-free 3D. Given that 3D displays have largely fizzled out in the past (even Nintendo is abandoning the concept with the New 2DS XL),it’s hard to be too excited about the idea. Kolon showing a clear/transparent polyimide that is ready to serve as the cover for a foldable display with 9H hardness. Just waiting for the orders. Literally 10s of companies hawking micro LED technology. We will try to add additional color next week, when all of the presentations are received.